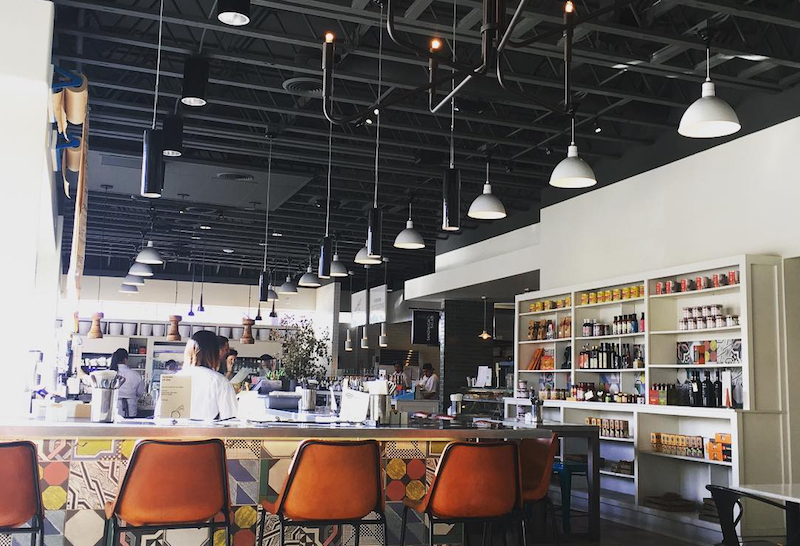 After just a little over three years serving Moroccan baked eggs and gluten free berry pancakes amidst a marketplace of tasty gourmet treats, Bryan Libit and Mimi Mok’s European-style café/market Stir Market is shuttering in the next few weeks. When we called over to the café, staffers didn’t know too many details but said a restaurant group bought the place (along with its liquor license) and will be closing it for renovations soon. No word yet as to what the new incarnation of the space will be but word is the new owners are leaning towards less of a café/marketplace concept and more of a sit-down restaurant. We will keep you posted. Employees of the café were told mid-January of the closure and they are awaiting word as to when they will actually be shutting the doors for good, so you better get one of their warm chocolate chunk cookies while you can. Kari Mozena is the Special Projects Manager at Los Angeles magazine and LAMag.com. You can follow her on Twitter and Instagram. She recently wrote: This Amazing Bay Area Bread Company Is Coming To L.A. For Two Days Only.